This week for Family Movie Night I thought I would shake things up a bit and give you some insight into the year in movies for 2016. Honestly it’s been a bit rough and many films have disappointed me. Just to prove this point I didn’t really like Batman v Superman but it is 46 out of 69 in my 2016 rankings. That means there are 23 movies I liked less than Batman v Superman, a film I didn’t enjoy. But that doesn’t mean there hasn’t been some films of value and that includes family films. So I thought I would share with you what I think are the best family films of 2016. Sing Street– my favorite movie of the year and it is PG-13 but some of the themes and situations it doesn’t quite feel like a family film for me. If you are a family with teenagers watch it! So now on to the top 10! 7. Kung fu Panda 3– I liked this movie a lot more than most. It’s a nice journey for Po going from the student to the teacher. I loved the animation and liked how they combined the humor of the first KFP movie with the action of the second. I also love the adoption message which is important to talk about and celebrate. 6. Eddie the Eagle– the Olympics are coming so this is the perfect time to watch a story about a true underdog- Eddie the Eagle. This movie will make you smile and feel good. There are a few adult moments but overall it will make you cheer. 4. Captain America: Civil War– I debated about putting this on my list because it can get pretty intense but if your family has seen the rest of the Marvel movies than I think they can handle this one. This movie makes everything that Marvel has done in the preceding films for Tony and Steve come to fruition. It’s a sequel that makes the proceeding films like Age of Ultron much better. I love the dynamic of Tony wanting control and Steve fearing it. There’s tremendous heart, amazing action and funny dialogue from the likes of Spider-Man! 3. Finding Dory- another home run for Pixar. Here we get Dory’s journey to find her family and if you pay attention to the clues there is more going on at the marine life institute than we see at first glance. The film will pull at your heartstrings and it may be Pixar’s funniest film. I love the way it uses light and shadows to convey tone and setting. Great film. 2. Life, Animated- a wonderful documentary about a family that has to deal with a son named Owen with severe autism. It turns out Owen communicates with the world through Disney movies. He literally has all of them memorized and uses the text to convey what he wants or desires. It’s very well done using clips and interviews with the family and should invite good discussions with families on how we treat those that are different and how we each have a unique way of processing the world. Number One~ Zootopia- Disney’s modern day fable about a fox and a bunny is utterly delightful. It will make you laugh with background and primary jokes and the world building is amazing. Judy Hopps is a wonderful character that I think we can all relate too and Nick has a depth to his character you don’t expect. The voice acting is perfect and it captures the film noir feel perfectly. Best buddy cop movie in years! So that is my top 10 family films of 2016. 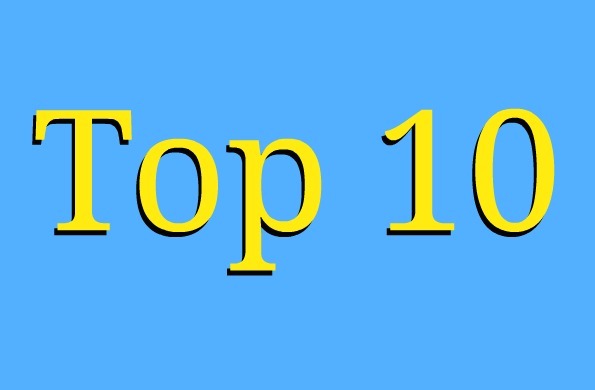 What are your top 10? Share in the comments below. Thank you!